In time for Christmas, but also to make it easier to pick up a bunch of The Cthulhu Hack books without searching, I have created three Bundle offers on RPGNow/DriveThruRPG – with a swanky new bundle graphic. 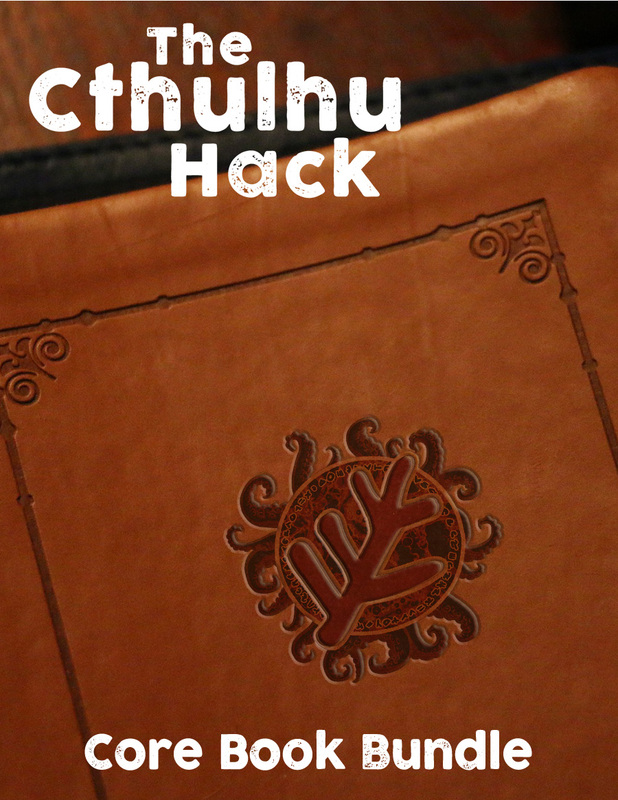 The Cthulhu Hack Core provides you with the essentials – as someone else put it, the Player’s Handbook, Dungeon Master’s Guide and Monster Manual – for running the game. You get the v1.5 copy of The Cthulhu Hack, the guide in stories and adventures of The Haunter of the Dark, and a horde of random horrors with From Unformed Realms. That’s $13.33. The Unformed Bundle focus on the creatures and horrors – and can be ported to other games very easily. Here you get From Unformed Realms along with recently released The Dark Brood, which focuses on the hellish progeny of Shub-Niggaruth. That’s $6.66. Finally, you will find the brand new Investigations Bundle, which combines the guide in stories and adventures of The Haunter of the Dark with five ready-to-play investigations: modern day student hikers documenting the last days of the derelict Innsmouth in Save Innsmouth; locals of a small town on an island off Maine waking without recollection of their purpose, but keenly aware that something’s horribly wrong in Thro’ Centuries Fixed; and three chilling encounters with the Wendigo, served up by three different authors, in Three Faces of the Wendigo. That’s $18.00. As per standard charging on the One Book Shelf stores, if you have a book already, you don’t pay for it twice. They deduct that individual book (or books) from the total – so, you still save on the PDFs you don’t have.